If you have been injured by the negligent actions of another, or have lost your job due to wrongful termination, or are involved in a contract dispute with someone, you may be entitled to compensation for your lost income, property damage, or other economic losses. Deciding whether to settle a lawsuit without taking the case to trial is a major decision demanding the full consideration of many factors. Some plaintiffs wish to settle the matter quickly, while others want to let a judge or jury determine whether damages should be awarded and how much. There are advantages and disadvantages to each option; only you can decide what is best for your specific situation but an attorney can help you put the pros and cons of each option into perspective. The vast majority of lawsuits never see a courtroom, evidence that the benefits of early settlement are compelling to a great number of plaintiffs and defendants. Settling a case is often more advantageous to the various parties rather than taking the case to trial. If you have received a settlement offer from the defendant or the defendant’s insurance company, you should review the offer with your attorney as soon as possible. Settlement agreements have many advantages. Settling your case is much quicker than taking your case to trial, which can take up to a year – or more, depending on the jurisdiction and the complexity of the case. You can receive the money, or at least a portion of it, immediately so you can pay your bills and repair property damage. 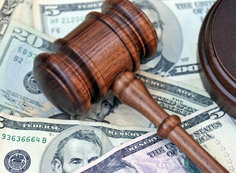 Your attorneys’ fees and other legal costs are greatly reduced by avoiding protracted discovery and the trial itself. Additionally, the emotional benefits are undeniable. You have the peace of mind of knowing exactly how much money you will receive, and you can get emotional closure right away so you can move on. Finally, settlement agreements can remain confidential, whereas court proceedings are public records. On the other hand, there are tradeoffs. In exchange for the benefits stated above, you will typically have to accept a smaller monetary award than you might get if the case goes before a judge or jury. Taking your case to trial, letting the court (or jury) decide the outcome, also has its advantages and disadvantages. If you go to trial and win, you may feel a sense of emotional satisfaction having prevailed in the lawsuit. And, as noted above, you may be awarded a much higher amount than what was offered in the settlement negotiations. However, there is never any guarantee that you will win your case at trial, or that the amount awarded will be more than what you could have settled the case for. The value of any settlement offer or potential court verdict must be weighed against the increased costs of dragging the case out for many more months before a trial can take place. In considering your options, an experienced lawyer can provide you with a realistic assessment of whether a settlement offer is fair, and the likelihood of winning a greater award at trial.